Please give. Your donation is important. Ensemble Epomeo need your help to relase a very beautiful and important CD of the complete music for string trio by Hans Gál and Hans Krása, leading members of a gifted generation of Jewish composers in Central Europe whose destinies were shaped by Nazi persecution in the years 1933-1945. We can’t release this disc without your help. Please visit our Indiegogo fundraising campaign homepage to give what you can. We have some great thank-you’s available, and your donations are tax-deductable. 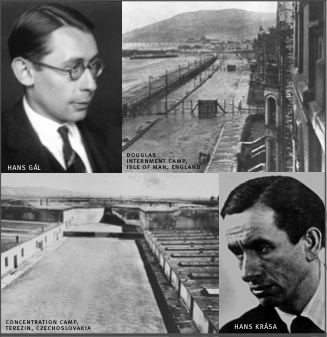 Viennese composer Hans Gál (1890-1987) was lucky to escape to Britain with his family in 1938, but endurred terrible hardships in British internment camps during the War, before settling in Edinburgh. His Serenade for Trio, opus 41, was composed in 1932, at the peak of his pre-war career when he was director of the conservatory in Mainz. His Trio in F-sharp Minor, opus 104, written in 1974, is part of the extraordinary late flowering of Gál’s creativity in his ninth decade. Together, these two remarkable works frame a long and astonishingly diverse artistic life. Although Gál survied the war, his music fell into obscurity in the mid- 20th c., and these remarkable trios have remained almost completey unknown prior to their world-premiere recording on this disc. Ensemble Epomeo, in fact, gave the the first North American performances of both pieces. 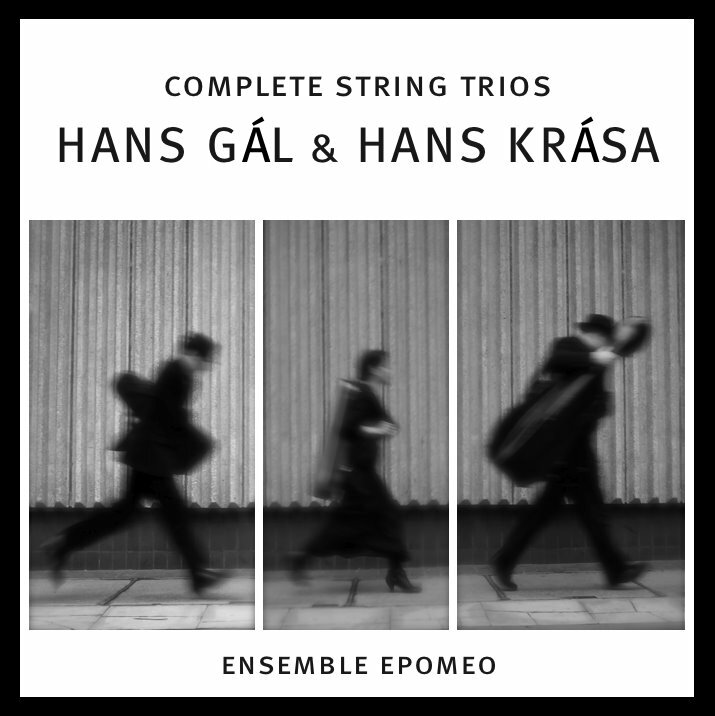 This CD will be the debut disc from the Anglo-American string trio Ensemble Epomeo, who gave the Gál trios their American premieres in 2010 and 2011 respectively. The recording was made leading producer/engineer (and grandson of Hans Gál), Simon Fox and in the beautiful concert hall at the Millfield School in Somerset, England in December 2011. Ensemble Epomeo, Caroline Chin-violin, David Yang-viola and Kenneth Woods-cello, is an internationally touring string trio, whose performances combine intensity, virtuosity and accessibility. Founded in 2008, their inaugural tours saw them performing in Italy, the UK and the USA, with performances at the Newburyport and Ischia festivals, and broadcasts on New England Public Radio and WKCR Columbia University in New York, where they were the subject of a 3 hour special showcase concert. Ensemble Epomeo’s debut CD is a sponsored project of Musica Reginae, a 501(c)(3) non-profit Arts organization. Contributions for Ensemble Epomeo must be made payable to Musica Reginae Productions and are tax-deductible to the extent permitted by law. Donations made on Indiegogo will go directly to Musica Reginae. This important disc is “in the can,’ but we can’t release it without your help! We need you to help us raise $5000, a portion of the budget which includes production and post-production costs, mastering and pressing costs and mechanical copyright fees. Please help spread the word about this project! You can join our Facebook page to stay in touch with the project. “Liking” the campaign via your Facebook account, or Tweeting the campaign homepage both improve the campaign ranking and gets us more referrals and more more donations.